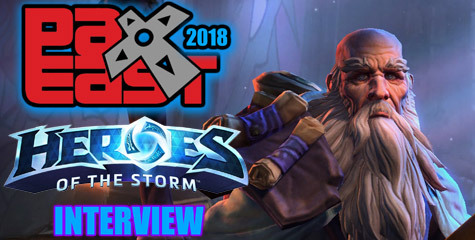 Hello, my name is Ian Bates, more commonly known as the Red Shirt Guy, and I am happy to say I am now Blizzplanet’s newest contributor! In the coming days, weeks, months etc I hope to provide a variety of, perhaps not news but “flavor” articles for the site. You can expect lots of speculative ideas on future content, as I love imagining expansions, zones, where the game could go. I’m also planning on doing an article about the current “faction bias” issue that has reemerged with patch 5.3. I hope you will enjoy these future articles and that they will help make Blizzplanet a fun read for all fans of Blizzard’s products. What is StarCraft® II: Heart of the Swarm™? Heart of the Swarm™ is the first expansion set to Blizzard Entertainment’s sci-fi real time strategy game StarCraft® II: Wings of Liberty™. Heart of the Swarm continues the epic story from Wings of Liberty with an all-new campaign that focuses on Sarah Kerrigan, the former Queen of Blades. New multiplayer units and maps will also be included in the expansion, as well as new features and upgrades to the Battle.net® online platform. What features can we expect from the single-player campaign of Heart of the Swarm? Heart of the Swarm’s campaign will include approximately 20 new missions. Players will be able to evolve their swarms with unique, campaign-only units and abilities, and this evolution will happen in an organic manner befitting of the expansion’s zerg theme. As an example, zerglings can be induced to evolve the ability to split into broodlings upon death. Further evolution can yield specialized sub-species of zerglings such as the swarmling, a variant that spawns three swarmlings per larva at an almost instantaneous rate instead of the standard two zerglings. The fearsome raptor is another evolutionary offshoot of the zergling that has more health and the ability to leap short distances to quickly close the gap on an enemy. Another aspect of Heart of the Swarm that sets it apart from Wings of Liberty is that Kerrigan will play a major role in each of the battles as a powerful hero. Over the course of the campaign she gains in strength as well as new capabilities. Players will choose what abilities to enhance and powers to use from mission to mission. Heart of the Swarm will also include a wider variety of locations, or sets, for players to explore between missions. These sets change dynamically as players complete missions, giving players a sense of an evolving world as Kerrigan makes her presence felt throughout the galaxy. Fully voiced cut scenes will round out the cinematic gaming experience in Heart of the Swarm’s campaign, while a new array of achievements will unlock in-game rewards such as portraits and decals. Will there be any technical upgrades to the graphics engine? We’ll be making some improvements to the graphics, including upgrades to the look and behavior of zerg creep, as well as some changes that allow our artists to better showcase the new types of planets that Kerrigan will explore in Heart of the Swarm. We still plan to keep the minimum hardware requirements the same for this expansion set as they were in Wings of Liberty. What approach is the development team taking toward multiplayer in Heart of the Swarm? We’re very pleased with the state of multiplayer in Wings of Liberty. Over the past year, the metagame has evolved as players are continuously developing new strategies and counters, while we’ve tried to make measured changes to game balance through patches. However, we recognize that there are still areas for improvement. Heart of the Swarm gives us an opportunity to address some of those needs through new units and abilities, which we’re typically not willing to make outside of an expansion as they can have a serious effect on current tournaments. With Heart of the Swarm, we’ve tried to locate the needs of each race and address them with new units and abilities. We’re also trying to maintain — and if possible, enhance — the uniqueness of each race. The goal with everything we create for multiplayer Heart of the Swarm is to add new dimensions of strategy and gameplay to competitive StarCraft, while maintaining balance and avoiding redundancy with existing units. What are some examples of new units, abilities, and game mechanics in multiplayer Heart of the Swarm? First, it’s important to note that units and abilities are still very much subject to change. What we’re showing at BlizzCon only represents a snapshot of where multiplayer Heart of the Swarm currently stands, and these are just a few examples of the new units and abilities coming in Heart of the Swarm. For the zerg, the new Swarm Host will serve as a ground-based siege unit. When burrowed, the Swarm Host will spawn melee units that slowly move in a stream toward enemy units or structures. This will allow the zerg to apply pressure on entrenched enemy positions. We’re also testing a new ability for the Ultralisk, called Burrow Assault, which will allow them to more easily get into the fight on a crowded battlefield. This activated ability will allow an Ultralisk to dive underground, quickly advance underneath units, and pop back up to attack enemies. The protoss will field an interesting new unit called the Replicant. This unit has one ability — to turn itself into any non-massive unit within the protoss player’s line of sight on the map. This means protoss will have the ability to instantly clone units like terran Banshees and Siege Tanks, zerg Infestors, and more. The drawback is that Replicants are very expensive to create. On the abilities side, the protoss will get a new energy-based Arc Shield ability on the nexus that will temporarily add shield and building armor to any structure, as well as a weapon that functions in a similar way to a photon cannon, doing 20 light damage to enemies. This new ability will help protoss players fend off unexpected drops. The terrans will have some new tricks as well. The Hellion will be given a new ability to transform into a walking battle mech. In this alternate form, Hellions will move slower, but gain health and deal higher damage in a shorter spray of flame. Battlecruisers will get a short speed-boost ability (Redline Reactor), which will be cooldown-based. This speed boost should help these terran capital ships with positioning and engaging in late-game battles. We’re also testing a new gameplay mechanic for maps: destructible rock pillars that can create a blockade on a choke point. These will allow players to close off pathways, block themselves into expansion bases, or protect scouts holding position on an elevated Xel’Naga watch tower. What changes will come to Battle.net with Heart of the Swarm? Our primary focus will be on getting our new Battle.net initiative, Arcade, up and running at some point around the launch of Heart of the Swarm. The mapmaking and modding community around StarCraft II has published tens of thousands of custom maps using the StarCraft II editor. One of our goals with Arcade will be to upgrade the custom map UI to better showcase the wide variety of great new maps and mods to players who are looking for fun new gaming experiences. We want players to be able to more easily find, rate, and sort through all the great custom maps that have been created. For map creators, we’re adding even more tools for them to create compelling custom games. These tools will include a cinematics editor for players to create their own cut scenes, and a 3D model importing tool which will allow artists to bring their own models into the game for use in custom maps. These are just a couple of the improvements and new features we’re developing to better support the map-making and machinima community in their quest to create fun and compelling content. Arcade will serve as a foundation for the StarCraft Marketplace we’ve talked about before. Eventually, Battle.net will include a commerce element that will allow mapmakers to charge a fee for their work. While there will always be a wealth of free content, we believe that allowing content creators to profit from their work will foster an environment for more complex and higher-quality custom maps. Our ultimate hope is that the StarCraft Marketplace will function and thrive in a similar manner as mobile “app stores” — providing tons of free and premium content for players, and a limitless source of entertainment through StarCraft II and Battle.net. We do have other Battle.net feature upgrades and improvements planned as well, and we’ll have more details on those at a later date. Will Heart of the Swarm require players to own Wings of Liberty? For the regions that have a standard box business model such as North America and Europe, yes, StarCraft II: Wings of Liberty will be required in order to play the Heart of the Swarm expansion. For other regions that have alternative access models, we’ll provide details at a later date. How much will Heart of the Swarm cost? We typically don’t provide details about pricing until the game is closer to release. We do view Heart of the Swarm as an expansion set, so for the regions that have a standard box business model such as North America and Europe, we will price accordingly. For other regions that have alternative business models, we’ll provide details at a later date. Will there be a console version of Heart of the Swarm? StarCraft II: Heart of the Swarm is being developed for Windows and Mac. We currently have no plans to bring StarCraft II to any console platform. When is Heart of the Swarm coming out? It’s too early to talk about a specific release date at this point in time. As with all Blizzard games, our ultimate goal is to provide the best possible experience for our players, and we will take as much time as is needed to ensure that Heart of the Swarm meets the expectations of our players, as well as our own high standards. Will there be a beta test? When will it start? How can I apply for the beta? Yes, we do intend to run a beta test for Heart of the Swarm multiplayer. However, we don’t yet have an estimated time frame for the beta test. As with all Blizzard games, if you wish to be considered for testing, you can opt in by going to www.battle.net and logging in to your Battle.net account. Go to Account Management, and click on Beta Profile Settings to begin the opt-in process. The now legendary Red Shirt Guy is a WoW player who told Chris Metzen and Alex Afrasiabi during the Blizzcon 2010 Warcraft Quests & Lore Panel he had finished reading World of Warcraft: The Shattering by Christie Golden, and noticed the novel talks about the Ironforge’s New Council of Three composed of Muradin Bronzebeard, Moira Bronzebeard and Falstad Wildhammer. This council formed after King Magni’s sad fate turning to crystal after messing with a Ulduar relic. Falstad was a character from the novel Warcraft: Day of the Dragon (2001) who helped Rhonin and Veressa. He survived and appeared in-game in World of Warcraft as Thane of Aerie Peak. He’s been an NPC through vanilla to Wrath of the Lich King expansion, but mysteriously he disappeared from Aerie Peak in World of Warcraft: Cataclysm beta. The Red Shirt Guy brought this up and added in Cataclysm beta the developers added Kurdran Wildhammer as part of the Council of Three instead of Falstad Wildhammer (as the novel The Shattering mentioned). The Developers responded they will fix this. Barely two weeks after BlizzCon 2010, the developers replaced Kurdran with Falstad Wildhammer in beta patch 13245. In addition, as a nod to this loyal Warcraft lore fan, the developers added a new NPC to the left of Falstad Wildhammer at the Ironforge throne room. The NPC is tagged as Wildhammer Fact Checker and wears a red shirt. A reference to the now famous Red Shirt Guy. By the way, he is well known in the warcraft lore fans community — hailing from ScrollsofLore.com Forums. He’s known as InsaneGuyofDoom. G4TV cornered Jay Wilson at BlizzCon 2010 to discuss Diablo III gameplay mechanics and the Talisman which serves as a repository of Charms in order to solve Diablo II’s clutter of charms in the inventory. In Diablo III, charms won’t take inventory space. They are deposited into the Talisman’s slots. Game Trailers interviewed Christian Lichtner (Diablo III Art Director) and Jason Bender (Diablo III Systems Designer) about the Demon Hunter’s ranged skills. You can find Blizzplanet’s BlizzCon 2010 Coverage here. Blizzplanet staff members Eldorian, Miaari and Omacron attended BlizzCon 2010 to bring our loyal visitors exclusive coverage of Diablo III, World of Warcraft: Cataclysm and Starcraft II: Wings of Liberty content revealed at the event, and one-on-one interviews with the developers. Beneath you may find links to our coverage. Rob Pardo was busy teasing the press at BlizzCon 2010 concerning the upcoming Blizzard Next-Gen MMO. Does he do it masterfully. While no one’s Jedi trick worked to make him spill the beans, according to VG247, his lips opened to say we shouldn’t expect a game reveal until at least 2012. Ok-ok. It sounds like so far away, but in reality if you check out your calendar we are already scratching the beginning of November, and just a couple months away from 2011. It’s been now two years and a half since that special moment when Mike Morhaime announced Diablo III in Paris during the Blizzard Worldwide Invitationals. I was there (thanks, Blizzard). Now we know all the five classes, and look forward to Diablo III Beta (which is sooner than you may think). Before you know it, Blizzard will announce the Next-Gen MMO — and we can count on Rob Pardo, Paul Sams and Mike Morhaime to remind us, hint us, tease us, and enamore us with this new game, through their building expectations and awareness around it. In prelude to its official announcement. “We’re working on a second MMO. We’re thinking of it as sort of Next-Generation MMO. It’s not a sequel to World of Warcraft. We want to do something a bit different. We’re not trying to replace World of Warcraft. We think World of Warcraft can continue to co-exist with the new MMO. Some people might prefer the new one, some people might still prefer to keep playing World of Warcraft. IRVINE, CA, Oct 26, 2010 (MARKETWIRE via COMTEX News Network) — BlizzCon(R) 2010, Blizzard Entertainment’s two-day gaming festival celebrating the Warcraft(R), StarCraft(R), and Diablo(R) game universes and their global player communities, kicked off Friday, October 22, at the Anaheim Convention Center in Anaheim, California. Attendees of the sold-out show played the latest versions of Blizzard Entertainment(R) games, spoke with developers in discussion panels, witnessed live top-tier tournament competition, and met with fellow gamers and friends. Jay Mohr returned to act as master of ceremonies for the community contests on Friday, including the popular dance and costume competitions, and the show closed Saturday evening with an epic concert featuring the duo that has been hailed by its own members as the greatest band in the world, Tenacious D — otherwise known as Jack Black and Kyle Gass. The band performed an earth-shattering set that included the debut of new and soon-to-be-legendary songs. BlizzCon would not have been possible without the enthusiasm of Blizzard Entertainment gamers around the world and the generous support of the event’s sponsors, who provided demo-station hardware, peripherals, and more. This year’s platinum-level sponsors were ASUS, DIRECTV, Intel, and NVIDIA; the gold-level sponsors were Antec, Razer, Western Digital, SteelSeries, and Vasco. For many months, fans of the Diablo III community had wondered what the fifth playable class could be. Some were pretty close, some were off, and some hit the nail … well, partially. Not long ago, Flux and Eldorian kept telling me their guess was the fifth class would be a ranged class like the hunter. Back on June 2009, I wrote a speculation article titled “What If? Diablo III Gunslinger Class”. A year and a half later, the Demon Hunter was revealed at BlizzCon 2010. We were pretty close with our guesses, but the Diablo III Team decided to make this ranged fifth class with a twist: so far we haven’t seen the Demon Hunter with a bow, and while the crossbows have gun handles, they aren’t exactly pew-pew guns. Some of her devices are pretty cool like the Bola Shot, Fan of Knives, Grenades, Spike Trap, Molten Arrow, Multi-Shot, and the Entangling Shot. It’s definitely not your normal Hunter archetype. It was designed with several ideas in mind with Sci-Fi and Fantasy pop culture references. During a Diablo III panel, Jay Wilson acknowledged the idea of the Demon Hunter class came from Van Helsing, Star Wars and MacGyver. Where did the idea for the Demon Hunter come from? Jay Wilson: It probably doesn’t come as a surprise that we chose a ranged-weapon class as the fifth class; however we didn’t want to do something completely predictable. We liked the idea of a bounty hunter or a monster-hunter—someone who was a little bit more sinister and an aggressor—and so we came up with a character whose sole focus was, “I hate demons.” She’s had horrible things happen to her. She’s lost family, lost loved ones, and has dedicated her live to eradicating as many demons as she can by any means possible. As a character, she’s walked a lot of dark roads to gain the knowledge she needs to overcome her enemy. With the demon hunter we found inspiration in characters like Van Helsing, Boba Fett, and even MacGyver. The demon hunter is very focused on conventional, man-made weaponry and gadgets. She dual-wields crossbows, and where one class might shoot of a magical fireball, the demon hunter would buy a device in the lower markets of Caldeum that would allow her to trap the essence of a demon and then release that essence in an explosive blast, not unlike a hand grenade. She has no qualms about using her enemies against themselves, dabbling in dark magic, and generally doing whatever it takes to destroy demons wherever they live. Here is Blizzplanet’s round up on Blizzcon 2010 Diablo III Demon Hunter. Starcraft II: Heart of the Swarm Concept Video? IGN has a short video of what looks like a Starcraft II: Hearts of the Swarm concept shown at BlizzCon. It’s unknown if this big creature will be in beta or in the final product. Thanks, Sam. Blizzard Entertainment unveiled and shared with the press guests a 20 minutes gameplay video of the Diablo III Demon Hunter class in different scenes. This is really where you can appreciate every single ability of the Shadow Hunter through different areas of the dungeon against various types of enemies, undertake some missions, and find what looks like one of the merchant companions via a quest. Later on, you can see the Shadow Hunter accompanied by a Witch doctor and Barbarian players against monsters and a boss. Here’s where you can see some differences in the spells graphics hinting at runes at work: electric charge, frost, and poison traits in addition to the original abilities. Blizzard Entertainment gave us 20 gameplay screenshots of the Demon Hunter, Barbarian, Witch Doctor and Wizard in which you can see their spells and abilities in action. One of the screenshots shows the ghost of King Leoric’s beheaded wife which gives you a quest. The Hydra spell is back with the Wizard and depending on which runes you use you can customize Hydra in awesome ways. I will touch on runes, and traits soon from what the developers said at Blizzcon. Blizzard gave press guests seven new Diablo III PvP Screenshots not found in the official website in addition to the three screenshots recently released. PvP (short for ‘player versus player’ combat) has had a storied history in the Diablo series. For Diablo III, we’ve decided to take it in a new direction to ensure that it’s deep, organized, frantic, and fun. Diablo III’s PvP battles are fought in arenas spread out across the world of Sanctuary. These arenas aren’t random — they’re all unique, designed with differing amounts of terrain and cover. You participate in PvP using the character of your choice, with access to all of the gear and skills you’ve accumulated playing the game in single-player or cooperative mode. You’ll learn many of the fundamentals of PvP (like how to avoid attacks or target specific foes) by playing the single-player game, but PvP differs in that it isn’t an ideal venue for gathering new weapons and armor. Your rewards for shedding blood in the arena are purer than that: bragging rights, the joy of sending friends old and new to their swift and inglorious deaths, and points that represent how far you’ve progressed on the path to fame and glory. When you participate in ranked games (fights that pit two opposing teams of players against each other in ‘best of’ matches), you’ll earn points for advancement based on kills, accomplished objectives, wins, and other factors. Points lead to multiplayer achievements, titles, and more. Our system is focused on encouraging furious combat and multiplayer progression, not stringent competitive rankings, so you’ll earn points after every match and Battle.net matchmaking will pit you against similarly skilled opponents. We’re also looking into other PvP game types that exist outside the ranking system, like 1-on-1 duels and mutually chosen team battles (for example, you and your friends could divide into two teams for an arena showdown). We’ll have more information on the availability of these game types in the future. Our aim for Diablo III’s PvP is to set you up with dangerous, exciting gladiatorial matches, let you battle it out with other players at your own pace, and allow you to proudly display your rewards. We’ve added a robust system to remove the obstructions that may have kept you out of the action, so that you can focus on what really matters: answering the age-old question of ‘who would win in a fight’ — with a gauntlet to the face. Blizzard Entertainment issued an official Diablo III FAQ in our Press CD to address certain concerns of the community. We’re developing Diablo III to be the definitive action role-playing game, and a true continuation of the Diablo series. Players will adventure through rich and varied settings, unraveling an epic storyline, engaging in combat with hordes of monsters and challenging bosses, growing in experience and ability, and acquiring items of incredible power. Diablo III will be a fitting sequel to Diablo II, with the easy interface, fast-paced action, and visceral gameplay that Diablo players have come to expect and enjoy. It will also include many new features that will take the Diablo action-RPG experience to the next level. Which characters will be in Diablo III? Players will create a male or female hero from one of five distinct classes — barbarian, witch doctor, wizard, monk, or demon hunter — each equipped with an array of spells and abilities. New customization options will provide for an even greater level of character specialization than the previous Diablo games, allowing players to create unique characters brimming with power. What can you say about the different classes? Returning from Diablo II, the dual-wielding barbarian is one of the stoic guardians of Mount Arreat. Retooled with powerful new abilities and moves, this plate-wearing savage wields ferocious weapons to annihilate the demonic forces threatening the world of Sanctuary. The fearsome witch doctor hails from the terrifying Tribe of the Five Hills of the legendary umbaru race. The witch doctor is equipped with spells and alchemical powers; can summon mongrels, locust swarms, and zombie armies; and hurls fiery concoctions to annihilate any demon foolish enough to trifle with the powers of the umbaru. The wizard is a wielder of the elements and a master manipulator of time, who combats the hordes of the Burning Hells by launching environment-shattering lightning bolts, channeling explosive arcane energies, and creating pockets of space outside of the normal flow of time. The monk is a skilled warrior of unparalleled dexterity. Armed with speed, holy fervor, and a quest for physical and spiritual perfection, the monk becomes a deadly apparition in the heat of battle, moving faster than the eye can follow to strike down enemies with a barrage of lightning-fast blows. The demon hunter has a sole purpose in life: to track down and destroy every last demonic being that dares to threaten humanity. Lithe and notoriously deadly with a pair of dual crossbows, the demon hunter brings an entire arsenal of arcane gadgets and mystical traps to the battlefields of Sanctuary. How did the new demon hunter character class come about? When we set out to create the fifth class, we knew we wanted to add another ranged character to the game. However, we also wanted to create a class that was more sinister than the typical ranger archetype. In the end, we came up with a character who has a personal vendetta against the demons and who will stop at nothing to eradicate every last trace of evil in Sanctuary. While the demon hunter primarily uses traditional ranged weaponry such as bows, crossbows, or even dual-wielded one-handed crossbows, the class is also incredibly proficient with gadgetry, traps, and deadly grenades. The demon hunter has dedicated an entire lifetime to training to destroy demons, and few can rival her skill. What is the story of Diablo III? The game takes place on Sanctuary, a world of dark fantasy. Unbeknownst to most of its inhabitants, Sanctuary was saved some twenty years ago from the demonic forces of the underworld by a few brave and powerful heroes. Most of those warriors who directly faced the armies of the Burning Hells — and were fortunate enough to survive — went mad from their experiences. And most of the others have buried their haunted memories and pushed the horrors from their thoughts. In Diablo III, players will return to Sanctuary to confront evil in its many forms once again. Will Diablo III be running on a new engine? Diablo III is powered by a new graphics engine that can display characters and hordes of monsters in lush, fully 3D environments. Powerful special-effects and physics systems allow for realistic object dynamics and cloth simulation, and enable players to lay waste to the minions of the Burning Hells in spectacular ways. Will Diablo still have randomized events? Diablo III builds on the random environments of the previous Diablo games by adding random scripted events and encounters throughout the game, creating a dense and exciting world alive with quests, NPCs, and dynamic encounters. What can you tell us about Battle.net? Diablo III will benefit from Battle.net upgrades that will provide some exciting new features for players. Cooperative online play remains a primary focus, with multiple enhancements being planned to make connecting with your friends easier and cooperative play even more fun. We’ll have more details on all these aspects as well as other exciting new features at a later date. How will PvP be implemented in Diablo III? While Diablo III is designed primarily for cooperative multiplayer, we are building in support for competitive player-vs.-player gameplay as well. We’re focusing on team-based PvP in an arena setting, and we are being careful to avoid PvP features that can easily lead to griefing, such as the ability to go hostile at will. We also plan to integrate Battle.net’s matchmaking system, a progression-based ranking system, and more. It’s too early to estimate Diablo III’s release date. As with all Blizzard Entertainment games, our goal is to create a game that is as fun, balanced, and polished as possible. We intend to take as much time developing Diablo III as is necessary to ensure the game meets our own high expectations and those of our players. We’re aiming to release Diablo III on both Mac and Windows simultaneously in as many regions as possible, and to localize the game in several languages. We’ll have more details to share about countries, languages, and specific dates as we get closer to release. What will Diablo III be rated? The Diablo III rating will be determined by the ratings boards in each region. We still have a good amount of work to do content-wise, so we’re not quite ready to submit the game for ratings yet. Will players interact with any familiar faces or places in Diablo III? Yes, definitely. Players will return to Tristram and certain other locations from the previous games, and they’ll also be exploring new areas of Sanctuary. Players will also encounter several new characters as well as a number of characters from the previous games including Deckard Cain. Our plans for the story and quest mechanics are still under wraps. We’ll go into detail on those elements of the game at a later date. We can say, however, that we expect to have class-based quests in addition to the main story-line quests. We’ll announce specific system requirements at a later date. The Demon Hunter cinematic trailer is the best Diablo III teaser. The class is packed with several fun range and AOE abilities that will make many players wish to play as Demon Hunter. You can read up more about the abilities, and screenshots of key scenes of this cinematic here. Blizzard Entertainment revealed the fifth Diablo III class at Blizzcon 2010. The Demon Hunter is a ranger which uses two crossbows to lay siege to its enemies. a group of fanatical warriors sworn to avenge their beloved ones killed before the rampage of the creatures of the Burning Hells. The demon hunter doesn’t seem to use arrows in a conventional way. They hone the powers of the demons as a weapon, and are resistant to the corruption of their demonic energies. This mechanic might be similar to the Hellgate’s Cabalist in a way, but much better. Not certain if she needs to buy or loot ammo, but from what the cinematic showed the Demon Hunter used a demon teeth found in a villager’s corpse, and before your eyes the teeth grows a shaft to become into an arrow. As you may see in the screenshots, the Demon Hunter has an ability that makes her crossbows shoot over 60 arrows at once from the other side of the screen as a cone attack blasting through anything in the direction she points at. She channels this demon power through her crossbows as seen in the screenshot where she shoots a bolt of light that turns into a heavy-assault swirling red fire. Another screenshot shows another AOE ability that resembles Fan of Knives. Vault: She can jump a few yards backwards, similar to the WoW hunter’s disengage to escape several incoming monsters to cast a devastating ranged attack, and she’s seen jumping to kick and split doors open. Bola Shot: This looks like the Argentinian Gaucho’s boleadora (balls), chinese meteor hammer, and also seen in Africa. The weapon consists of two balls with a string attaching both. When hurled by the Demon Hunter’s crossbows they entangle around a single target’s neck and explode. Seems like a good choice for bulky monsters. Entangling Shot: You will see two scenes where she throws some sort of shadow-energy trueshot arrow that looks like a harpoon. This arrow has a chain and binds several monsters together by chains causing some white flashing explosion and lots of electricity in a large area of effect. Another ability looks like a meteor of fire coming from the ceiling and smashing the ground in glorious fire causing an expansion wave that devastates all enemies around the demon hunter. She throws some sort of grenade mechanism that semi-burrows on the ground. When monsters come within its range, the three grenades transform into three huge round jigsaw gadget traps which shred them to pieces. A few years ago, I speculated Blizzard would make a Van Helsing-like class, and this simply outdoes Van Helsing in every possible way. I love this class and her gadgets. It’s effing amazing! The concept art reveals she uses a corset and jeans in her un-armored form, but interestingly seems to wear leather, cloth and plate. The right-most model in the concept art shows her with only one crossbow and an assassin two-clawed glove on the right hand. The plate design looks pretty much like the Diablo II Paladin’s with golden cross insignias. There is so much more we need to learn about this class, and Blizzard will be revealing more on the second day of Blizzcon, and throughout Twitter in upcoming weeks and months. Watch the Demon Hunter video trailer here. Read the Demon Hunter lore from the point of view of Abd al-Hazir at the official Diablo III website. Blizzcon 2010 will start in a few hours, but you still have the chance to order the Virtual Ticket to watch 50 hours worth of HD video with 4 channels covering several panels, contests, and tournaments — including the closing concert by Tenacious D.
Hey, have you heard? BlizzCon 2010 begins tomorrow! You’ll be able to watch the opening ceremony and the action on the World of Warcraft and RTS tournament stages streaming for free at http://blizzcon.rayv.com. The opening ceremony is scheduled to begin on Friday at 11 a.m. Pacific, and tournaments run throughout both days of the show — check out the BlizzCon schedule for details. If you’re interested in watching these in high def and accessing over 50 hours of BlizzCon coverage, including developer panels, the costume contest, the closing concert with Tenacious D, and more, you can still purchase a BlizzCon Virtual Ticket, which also includes this year’s World of Warcraft pet and StarCraft II in-game items. We’ll also be updating BlizzCon.com, our Twitter feeds, and our Facebook pages with news, photos, and more from the show, so we’ve got you covered pretty much anywhere you go. Blizzplanet staff members: Miaari, Eldorian and Omacron are in California, or on their way there to report from BlizzCon 2010 with live feeds. The Blizzcon panel Q&As allow us the chance to ask questions on behalf of our visitors. We are gathering your questions for Starcraft II, Diablo III, and World of Warcraft: Cataclysm developers. At the top left you can see the Login and Register links to post in the comments, or you can email me at mdragon [a t] blizzplanet.com or eldorian [a t] blizzplanet.com with the subject: Blizzcon WoW or Blizzcon SC2 or Blizzcon D3. The earlier you send your questions the better. However, we will try to gather “on-the-Go” questions during the panels. Let’s say you are watching the live stream or DIRECTV and come up with a good question based on what they are saying live — hurry up and shoot an email to us, and if we catch it in time for the Q&A, we will ask on your behalf. Omacron is also taking questions for Christie Golden about World of Warcraft: The Shattering. Visit Blizzplanet several times through Friday Oct 22 and Saturday Oct 23 for juicy updates. Use the Blizzplanet RSS, twitter or Facebook icons located at the top-right to keep in touch if you are AFK. Eldorian will make live twitter updates on the front page of Blizzplanet from the Blizzcon panels via a cool twitter addon. Blizzcon 2010 is just a few hours from now, and both: the fans already in California and those at home should know a few links of information. Those already arriving to California, you should check out the schedule and floor map. Taxi in Irvine (for emergencies). Some hotels have a van to pickup customers at no cost (contact your hotel). The millions of fans all around the world can watch the internet live stream, and locals can order DIRECTV. 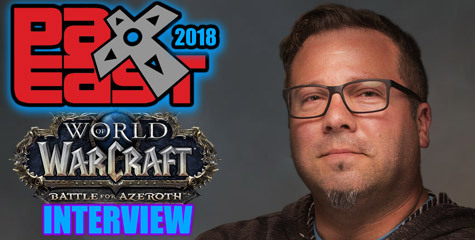 Forbes >interviewed Blizzard Chief of Operations (COO) Paul Sams, who debunked rumors that BlizzCon 2010 would be the platform to reveal the Next-Gen MMO. A particular comment no doubt keeps the rumor mill engines going forth. The Next-Gen MMO now counts with 140 employees and development is at full speed. In August, Activision Blizzard chief Bobby Kotick suggested that the new MMO would not be based on existing franchises, in the company’s first-quarter conference call. Sams dispelled rumors that the company would be saying anything new about the upcoming game at its BlizzCon videogame conference at the end of this month. “It’s not something we’re announcing at BlizzCon,” he says. Bashiok posted the last pre-Blizzcon 2010 preview of Diablo III gear sets. The male Barbarian goes Wolverine stabbie-style with every punch with this meanie gear set. Blizzard Entertainment has selected the best Starcraft II: Wings of Liberty players to clash at the BlizzCon 2010 Starcraft II Invitational Tournament, and revealed the official roster to fill up the upper bracket matchups. Matches begin on Friday, October 22 at 1:30 p.m. PDT in Hall B, where the best players will claim $45,000 in cash prizes. StarCraft II Game Director Dustin Browder, Rob “Voice” Simpson, Sean “Day” Plott, Nick “Tasteless” Plott, and Dan “Artosis” Stemkoski will be shoutcasting throughout the tournament, thus expect a lot of “Terrible, Terrible Damage”. On Friday at 7:30 pm PDT, there will be an exhibition match between StarCraft: Brood War legend SlayerS_`BoxeR` and recent TG-Intel GSL Season1 champion Fruit Dealer (aka Cool) taking place at the RTS Tournament Stage. BlizzCon Non-Attendees may watch the entire tournament by purchasing the online BlizzCon 2010 Tournament stream or the DIRECTV. Blizzard revealed the BlizzChat schedule to be held at BlizzCon 2010. Our primary motivator when hosting each BlizzCon is to provide an epic atmosphere for members of the community to meet up and share their common passion for Blizzard games. In keeping with that tradition, at this year’s BlizzCon we’ll be facilitating the first-ever BlizzChat: Community Live! Attendees will be given a venue to discuss a number of focused topics pertaining to the Diablo, StarCraft, and Warcraft universes and gameplay. If you’re coming to BlizzCon at the Anaheim Convention Center this October 22 and 23, be sure to check out the schedule below. Don’t miss the opportunity to share your thoughts on a wide array of subjects with fellow gaming enthusiasts. Meet up with fellow Blizzard gamers face-to-face to discuss various topics of interest! BlizzChat will take place in meeting rooms 201A and 201B, located on the second floor of the Convention Center near the top of the escalators. World of Warcraft: Achievements – Noon to 12:50 p.m.
World of Warcraft: Guild Leaders – 1 p.m. to 1:50 p.m.
World of Warcraft: UI Development – 2 p.m. to 2:50 p.m.
World of Warcraft: Dungeons and Raids – 3 p.m. to 3:50 p.m.
World of Warcraft: PvP Battlegrounds – 4 p.m. to 4:50 p.m.
World of Warcraft: PvP Arenas – 5 p.m. to 5:50 p.m.
SCII: Achievements – Noon to 12:50 p.m.
SCII: Map Developers – 1 p.m. to 1:50 p.m.
SCII: Multiplayer and eSports – 2 p.m. to 2:50 p.m.
Diablo III: Gear and Items – 3 p.m. to 3:50 p.m.
Diablo III: Gameplay and Systems – 4 p.m. to 4:50 p.m.
Diablo III: PvP – 5 p.m. to 5:50 p.m.
World of Warcraft: Leveling/Quests – 11 a.m. to 11:50 a.m.
World of Warcraft: Classes – Noon to 12:50 p.m.
World of Warcraft Professions: Crafting and Gathering – 1 p.m. to 1:50 p.m.
World of Warcraft: Lore and Story – 2 p.m. to 2:50 p.m.
World of Warcraft: Role Playing – 3 p.m. to 3:50 p.m.
World of Warcraft: TCG – 4 p.m. to 4:50 p.m.
Blizzard Cinematics – 5 p.m. to 5:50 p.m.
SCII: Race Strategy – 11 a.m. to 11:50 a.m.
SCII: Lore and Story – Noon to 12:50 p.m.
Diablo III: Classes – 1 p.m. to 1:50 p.m.
Diablo III: Lore and Story – 2 p.m. to 2:50 p.m.
Warcraft I, II, III, and Expansions – 3 p.m. to 3:50 p.m.
StarCraft and Expansion – 4 p.m. to 4:50 p.m.
Diablo I, II, and Expansions – 5 p.m. to 5:50 p.m.
“The Nordrassil-EU server superstar Morfar known for his weekly Friday/Saturday request shows has goals to expand the Nordrassil Radio station into Blizzcon and covering all the hot topics that will be dicsussed. Our Friday show’s by Keybound and DJ Morfar will cover the news that’s fresh out of the event. 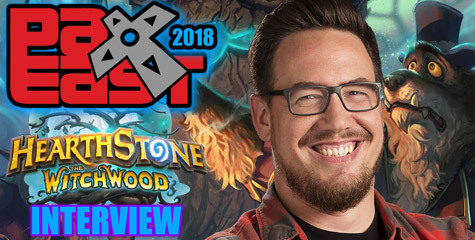 “To make this work, we need a huge help from the World of Warcraft community to get the word out that we’ll be bringing coverage on these events for gamers that are unfortunate enough not to be attending, as well as playing great music and taking requests so we can give personal shout-outs for tracks that are personal to the requester” — said Luke Brown (Nordrassil Radio). After BlizzCon, Nordrassil Radio is aiming to broadcast audio coverage from the biggest digital festival: Dreamhack Winter 2010 at Section A of the LAN area through November 25-28 2010 (Elmia – Jönköping, Sweden). Activision Blizzard issued out a press release reminding followers that Blizzcon 2010 begins this week. The show will have the participation of Jay Mohr, Tenacious D, Richard A. Knaak & Christie Golden, Michael McConnonie, and Sons of the Storm. IRVINE, Calif., Oct 18, 2010 (BUSINESS WIRE) — BlizzCon(R) 2010, Blizzard Entertainment’s two-day gaming festival celebrating the Warcraft(R), StarCraft(R), and Diablo(R) game universes and their global player communities, begins on Friday, October 22, at the Anaheim Convention Center in Anaheim, California. Attendees of the sold-out show will be able to play the latest versions of Blizzard Entertainment(R) games as well as speak with developers in discussion panels, witness live top-tier tournament competition, participate in a wide range of activities, and meet with fellow gamers and friends. Jay Mohr has returned to act as master of ceremonies for the community contests taking place on Friday, including the popular dance and costume competitions, and the show will close on Saturday evening with an epic concert featuring the duo that has been hailed by its own members as the greatest band in the world, Tenacious D — otherwise known as Jack Black and Kyle Gass. The band will be performing an earth-shattering set at BlizzCon that includes the debut of new, soon-to-be-legendary songs. Anyone unable to attend BlizzCon can still purchase a BlizzCon Virtual Ticket, featuring more than 50 hours of live HD coverage as well as the exclusive BlizzCon 2010 World of Warcraft(R) in-game pet and StarCraft II in-game items. This package is available globally via Internet stream and also through DIRECTV(R) satellite television service in the United States (free Internet stream included with DIRECTV Pay Per View event purchases). Limited streaming coverage of the BlizzCon opening ceremony and certain BlizzCon tournaments will be available via the Internet for free. Visit the official BlizzCon website, www.blizzcon.com, for more information. BlizzCon would not be possible without the enthusiasm of Blizzard Entertainment gamers around the world and the generous support of the event’s sponsors, who provide demo-station hardware, peripherals, and more. This year’s platinum-level sponsors are ASUS, DIRECTV, Intel, and NVIDIA; the gold-level sponsors are Antec, Razer, Western Digital, SteelSeries, and Vasco. Anyone attending BlizzCon who is interested in pursuing career opportunities at Blizzard Entertainment should bring their resumes, demo reels, art portfolios, or business cards, as the global staffing team will be on hand to accept materials and discuss any job-related questions. Michael McConnonie will be attending Blizzcon 2010 to participate at the voice actor autographs booth. Michael McConnonie will be at the Anaheim Convention Center this upcoming Saturday, October 23. He has voiced The Lich King, King Ymiron, and Commander Kolurg in World of Warcraft: Wrath of the Lich King. He was also the voice of Kel’Thuzad (2004) in World of Warcraft; and Uther the Lightbringer and Kel’Thuzad in Warcraft III: Reign of Chaos; and the Necromancer and Warriv in Diablo II (2000). Blizzard released a sneak peek view of the Male Wizard Gear set to be seen in the Diablo III demo at BlizzCon 2010. Over 20,000 BlizzCon attendees will attend the Blizzard Entertainment cult-driven event BlizzCon 2010 to be held at the Anaheim Convention Center through October 22-23/2010. The floormap of the event is now available for viewing to plan and organize your calendar schedule. Blizzcon ticket barcodes are now available for printing (if you choose to use your printer) from the Blizzard Store account page. It speeds up your entry to the Anaheim Convention Center. Personnel will scan your ticket barcode and you can pick up your goody bag when and where directed. Give your luv-love to Bashiok here. This will bring you to a printable ticket page which includes that ticket’s barcode. It’s important to bring this barcode with you as it will expedite your badge pickup once you’re at the event. For those that have already received emails with barcodes this page has the same information as the email, and isn’t necessary to view or reprint them if you already have. Yesterday, October 12, Blizzard Entertainment’s artists (Sons of the Storm) updated the website with a post titled: “BlizzCon 2010 Imminent” to announce they will be signing all type of merchandise on Saturday, October 23 through 10AM – 11AM at the developer signing area. The artists will also draw sketches to giveaway. It’s an awesome opportunity to meet the best among the best artists from the best game studios, and to give them some love and comments on how much you admire their work. Take some photos and send them our way. Eldorian is gonna be in line at this signing schedule, a gosu Blizzard merchandise collector himself. Blizzcon attendees may also find New York Times Bestselling author Richard A. Knaak at the Simon & Schuster booth — check out his schedule. 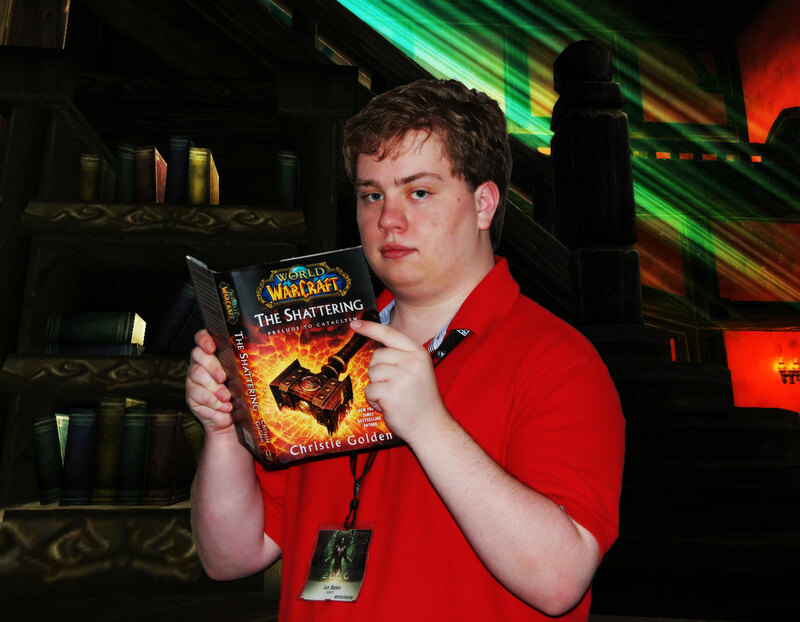 He will be signing copies of the four times Locus Magazine national bestselling winner World of Warcraft: Stormrage. We are, give and take, a week away from BlizzCon 2010, the convention that celebrates all of our pretty properties. Fire it up with Deathwing, creep and conquer with Kerrigan and raise your horns for the big D…Diablo of course! Although Tenacious D would be an appropriate second choice at the closing concert. But what is BlizzCon without the Sons of the Storm on board and representin’? We’ve got a one-hour signing session lined up on Saturday, 10AM to 11AM at the developer signing area. So be there early with whatever you want us to soil with our signatures. Also three of our own, Samwise, Raneman and Red Knuckle are going to do live sketching and painting demos at the artists’s stage. If you want to procure the secrets of the Storm, this is your chance.